Do you wish to inquire about the National Merit Semifinalist List 2019 ? If so, this guide is for you. Here, I will provide to you, the best update from our research on National Merit Semifinalist List 2019 That way, it would be easier for you to check the National Merit Semifinalist List 2019 without facing much difficulties. September annually, about 50,000 high School Students with a high Score on the PSAT/NMSQT® receive a call up later of Commendation. This is done to recognize their outstanding performance. In early September, about 16,000 students out of the 50,000 high scorers, are notified that they have qualified as Semifinalists. To ensure that academically talented young people from all parts of the United States are included in this talent pool, Semifinalists are designated on a state-representational basis. They are the highest scoring entrants in each state. The selection was made following scores emanating from the last fall’s Preliminary SAT/National Merit Scholarship Qualifying Test. All winners of Merit Scholarship awards are chosen from the Finalist group based on their abilities, skills, and accomplishments—without regard to gender, race, ethnic origin, or religious preference. Click the link given below to VIEW/DOWNLOAD the full list of National Merit Semifinalist candidates in PDF. About 15,000 are expected to then become finalists for the scholarships by the end of February 2019, based on scores, academic and extracurricular records, recommendations and essays. Finalists receive either a $2,500 National Merit Scholarship or a merit scholarship sponsored by a college or corporation. 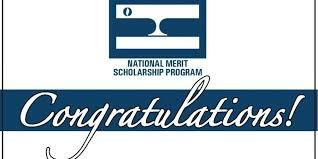 The Winners of the National Merit Scholarship Program will be announced by the end of February.